If this can hit 0-100 km/h in 3.1-3.2 seconds, that's possible. Because I forgot Hockenheim lap time and other performance figures, I'll post tomorrow if no one add those bis then. A 0-100kph/62mph of around 3.5 is within reason. It's just a matter of different tests, different test cars, different conditions, etc. The Panamera Turbo isn't the best looking sedan, it actually looks kind of strange, but I'd prefer this to any other exotic sedan. A matter of taste, but to me panamera always looked like a disproportionate design .. Sort of a swallen 911 after a whasp bite . Even if it goes in 3 secs , not my thing ..
Pre FL Turbo did it in 3.6 sec so imo 3.5 is more than possible. And that's not even being claimed by Porsche. I think tested it will hit 3.7 seconds with no problem. One moment, headlights got nicer. LOL, does it look somehow different?... LOL... Ugh, Panamera was ugly, and still carries this title... I hoped it will look somehow better looking through spy shots, but it doesn't... The "new" front and side view seem like have no more than two distinctions that are not common with the previous model. And the back, IMO, got even worse. So, exteriorly that's that facelift I would like to see. If designers had a talent, Panamera could be pretty beautiful GT. Although, I just can't say any negative word about the interior, it's the highest class. 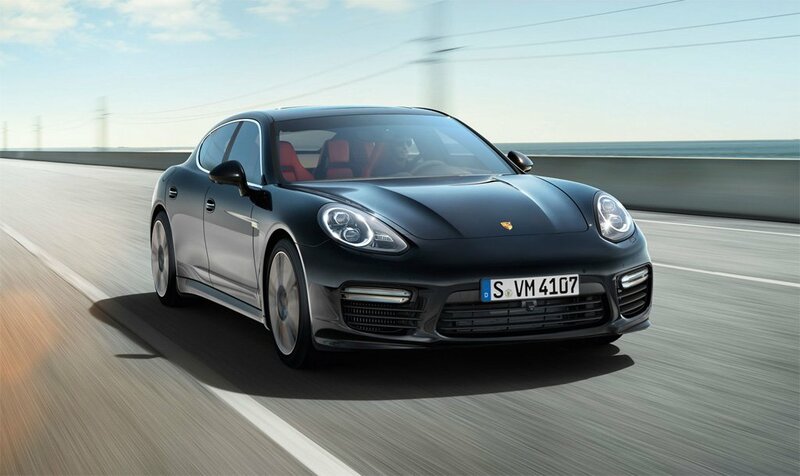 Technically, as I can see, every Panamera model got 20 PS starker, except the basic, being upgraded only 10 more. Well, good. They also already presented every 4-WD versions, Diesel (that wasn't anyhow upgraded), S E-Hybrid and GTS that packs 20 PS more and still stays AWD. Have to wait only Turbo S model. I expect it will pack 570 PS, LOL. Wow very fast with Sport Chrono Paket! 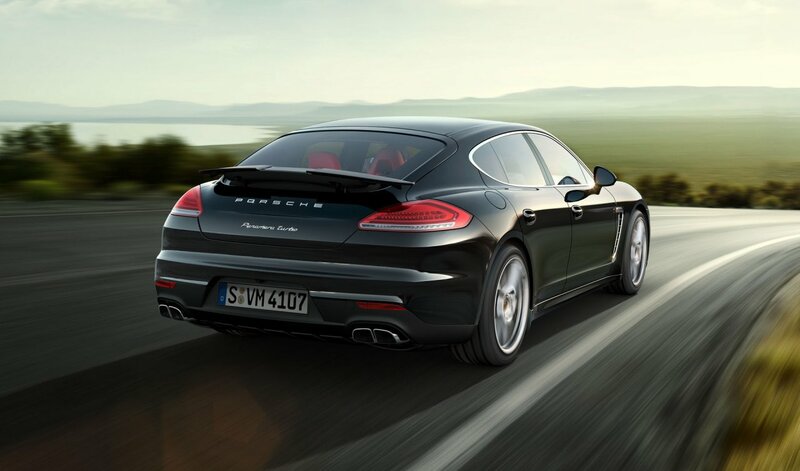 The new 2014 Panamera Turbo.